Landscape Plans are often required by Local Government Councils during the Planning Permit Application process for new developments including New Homes, Offices, Commercial Sites, Dual Occupancies, Unit and Apartment Developments and Land Sub Division. The majority of Councils have prepared Landscape Plan Guidelines often reflecting their respective local neighborhood description and environmental priorities. As a result, these Landscape Plan Guidelines can vary quite substantially from Council to Council. Over time, having dealt with most Councils and Shires throughout Victoria and Interstate, we have gained a sound and thorough undertanding of these Landscape Plan Guidleines. 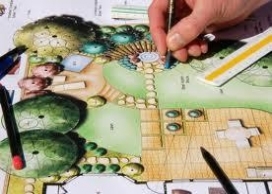 Our success rate in Landscape Plan approvals is testament to this experience and knowledge. With Landscape Plan Guidelines, the Permit Conditions listed in the Planning Permit need to be considered. Generally these are specific requirements such as the need for Canopy Trees, Indigenous Planting ratios and Tree Protection Measures. The Conditions will state that the Landscape Plan needs to be prepared by a Professional Landscape Designer - we are a member of the AILDM (Australian Institute of Landscape Designers and Managers). Since every project is different , we provide you with a written Fee Proposal for the preparation of the Landscape Plan which includes client consulation, site visits and the prepartion of the Landscape Plan including Plant Schedules, Maintenance Programs, Design Objectives and Neighborhood desciptions. 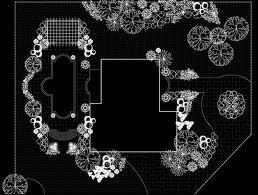 Importantly, if your Site Plans can be provided in Autocad or .DWG form this will reduce the overall price. Turnaround times are usually 10 Working Days, however, if you must meet a Deadline we will prioritise your Landscape Plan. Please contact us on the above phone numbers or email to arrange a free site inspection. 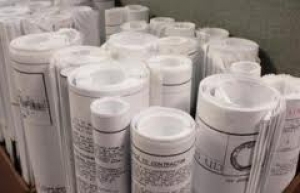 Following this inspection we will provide our Quotation and once you give us the go ahead we will need a full set of you Site Plan and Building Drawings along with a copy of the Council letter specifying the Conditions of your Permit. We can offer Landscape Plans for the following Shires and Councils throughout Melbourne and Victoria and can also cater for Landscape Plans in New South Wales, South Australia, Queensland and Tasmania.